Representatives of Axon, the company that manufacturers Taser stun guns, defended the safety of the devices at a special meeting called by the San Mateo County Board of Supervisors on Monday to investigate the use of electronic control weapons in the wake of three deaths last year. Axon representatives argued that the devices were the safest intermediate force option, causing less serious injuries than pepper spray, dogs or batons, and had never conclusively lead to a fatal electrocution, an assertion that drew jeers and laughter from the audience in the packed chambers in Redwood City. When asked by Supervisor David Pine about the extensive warnings that are distributed with Tasers, including that for certain vulnerable people Tasers "may cause or contribute to sudden death," Axon attorney Michael Brave minimized the importance of the warnings. "It's just like ladders and acetaminophen, if you read all of the warnings you'll never use any of those things," Brave told the supervisors. 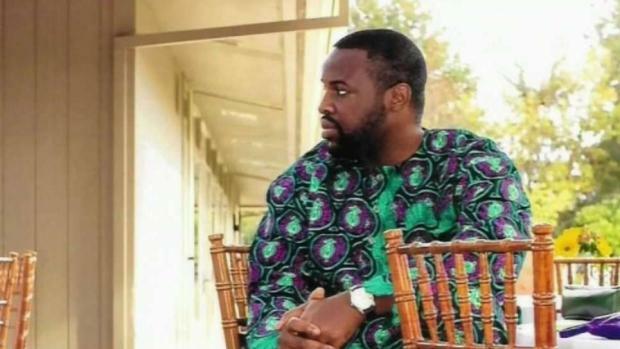 Pine called for the hearing in December as an investigation into the death of Chinedu Okobi during an arrest in Millbrae by San Mateo County sheriff's deputies drew increasing scrutiny. Okobi's was the third Taser-related death in the county last year, following Warren Ragudo in Daly City in January and Ramzi Saad in Redwood City in August. A Taser was also used on a fourth person who died in the county in 2018, Kyle Hart, but Redwood City police officers shot him after Tasing him in December. Sheriff's officials said that Okobi was running in and out of traffic in Millbrae on Oct. 3 and assaulted a deputy who approached him. Okobi's sister, Ebele Okobi, publicly accused the sheriff's office of lying after she viewed video of the encounter. The video has not been made public, but District Attorney Steve Wagstaffe has committed to releasing it once his investigation is complete. At the end of the hearing, Ebele Okobi thanked the supervisors for holding the meeting, which in addition to Axon featured presentations by sheriff's officials, civil rights leaders, and a medical researcher from the University of California at San Francisco. "It's a first step in bringing accountability," Ebele Okobi said. 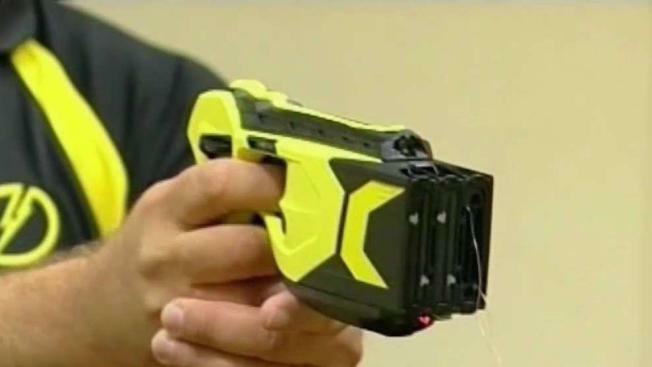 The San Mateo Board of Supervisors voted Tuesday to assemble a committee to investigate cases involving taser-related deaths. The most recent case was back in October, deputies say Chinedu Okobi was running in and out of traffic in Millbrae when a San Mateo County Sheriff’s deputy tried to stop him. The sheriff’s office claims Okobi assaulted the deputy, that’s when the deputy called for back-up and a his taser was used. Okobi later died. The Okobi family's attorney, civil rights attorney John Burris, in October called for a moratorium on Tasers in the county. Representatives from the sheriff's office, including Sheriff Carlos Bolanos, touted the department's crisis intervention training as well as its psychiatric emergency response team, a program started in 2015 that pairs a sheriff's detective with a technician from the county Behavioral Health and Recovery Services. The psychiatric response team is the first program like it in the greater Bay Area, Detective Michael Tabak said, and between May and December last year it made 98 new referrals to mental health services and reconnected 352 people to services. Bolanos argued against any kind of moratorium, saying that deputies may use firearms more frequently if they do not have access to Tasers. Asked how his deputies are trained in addressing the medical implications, including that multiple deployments could increase the chances of cardiac arrest, Bolanos said that deputies observe the suspect and how they're reacting to Taser applications. But, he acknowledged, "You really don't know when you're in the midst of that situation how many times you or someone may be activating the Taser." Dr. Zian Tseng, who researches sudden cardiac death at UCSF, said that his studies of Taser use do not suggest that the introduction of Tasers reduces firearm use or officer injuries, despite the results of some narrower studies cited by Axon. And, he said, there is a proven risk that Taser use can stop someone's heart when deployed directly to the chest. Axon now warns officers not to deploy Tasers to the chest. "These are rare events," Tseng said. "There is a low absolute risk for sudden death but it is not non-lethal." Despite Taser's specific warnings of higher medical risks when someone is intoxicated or suffering from excited delirium, Axon litigation counsel Amy Nguyen argued that Tasers are recommended for people experiencing "mind-body disconnect." Nguyen said that some research shows that there are fewer serious injuries from Tasers than deployments of pepper spray, batons and police dogs. But Alan Schlosser, an attorney with the American Civil Liberties Union of Northern California, said that San Mateo County shows that the devices aren't as safe as the company says. "Three people have been killed in this county in the last year," Schlosser said. "I doubt that three people have been killed by pepper spray. I doubt three people have been killed by batons." Ebele Okobi, following the meeting, called Axon arrogant and callous in a Facebook post. "Apart from the human cost their product inflicts on communities, Axon US clearly intend to also foist onto tax payers in those same communities the financial cost of wrongful death and similar suits related to the weapons they make," she wrote.